Oceanic manta rays occur in northern Peru; frequently sighted, they are occasionally caught as bycatch by artisanal fishermen. The country is also one of the top five fishing nations for devil rays. Our team in Peru are supporting the transition of communities away from fishing and towards ecotourism. Additionally, we are aiding the government to build capacity to regulate national protection for mantas, and improve protective legislation for devil rays. Peru has a wide, underdeveloped coastline and seemingly endless expansion of fishing fleets. Hundreds of miles of this coastline bear nothing but battered sandstone rock and vast sandy beaches, punctuated by developing communities sustained predominantly by artisanal fishing activity. Tourism in this region is underdeveloped and the number of recreational dive outlets populating this 750 km cross-border stretch of coastline is small. Data on mantas from this region is sparse. Oceanic manta rays occur in northern Peru; frequently sighted they are occasionally caught as bycatch by artisanal fishermen. In 2015, Peru declared manta rays nationally protected, following media pressure after the capture of an oceanic manta and ongoing work by our local project and collaborators. However, many communities are still unaware of this legislation, why it was established, what it means and how they can adapt activities to continue their livelihood, whilst reducing their impact on these protected species. There is also a lack of knowledge on manta movement and aggregation areas. 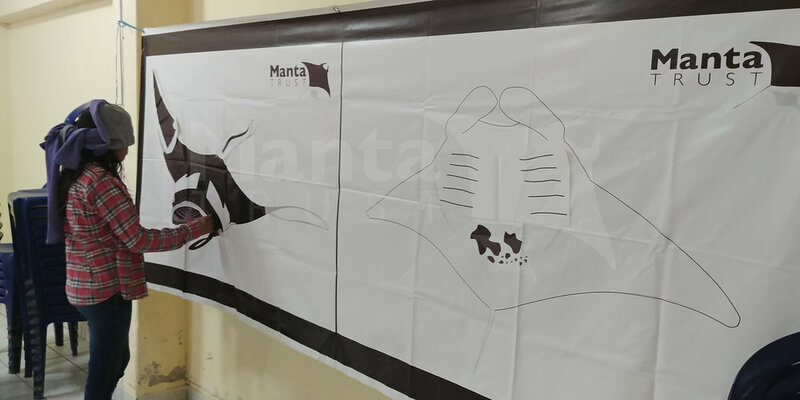 The Peru Manta Ray Project works closely with fishing communities to build an accurate picture of the spatial and temporal distribution of the population of oceanic mantas frequenting Peruvian waters. We also work to support the effective implementation of the protective manta legislation declared in 2015. Extensive efforts have been made to support the transition of communities away from fishing through building capacities around manta and marine wildlife tourism in northern Peru. Participatory workshops, training and community meetings with fishermen have been conducted to build skills, capacities, and the necessary infrastructure for conducting tourism excursions. Community outreach included educational activities in schools and participatory research by university students. Peru is one of the top five devil ray-fishing nations in the world. They are targeted primarily for domestic consumption, with most fishing activity occurring in the northern region bordering Ecuador. Unlike the oceanic mantas, there is currently no national regulation of the devil ray fisheries in Peru. Data is collected regularly by government officials and fisheries observers in this area, however, the accuracy and quality of data is often poor, primarily owing to a lack of training, and the challenge of correctly identifying the genus to species level. Thus this project also aims to build capacities among fisheries observers and government representatives to more accurately quantify and monitor the scale of the nation's devil ray fisheries. To better understand the oceanic mantas and devil rays found in Peruvian waters, and ultimately reduce the impact fishing has on these mobulid populations, whilst meeting the socio-economic needs of the people that depend on them. (1) Investigate local, regional and large-scale movements of oceanic manta rays in the northern reaches of the Humboldt Current range bordering Peru. (2) Identify threats, such as direct and indirect fisheries, to these manta populations within their range. (3) Conduct regional training workshops that build capacity among fisheries and government officials to ensure that robust and comprehensive data on mobulid rays exists. (4) Provide resource materials and training to government officials, to ensure that governments are supported in developing protective policies. (5) Develop an outreach campaign that raises awareness about manta rays, the new manta legislation, and its implications, thereby changing the attitude and perception of community members and subsequently paving the way for sustainable livelihoods. Stefany was born in Iquitos, in the heart of the Peruvian Amazon. Despite the great biodiversity found in the area, she preferred spending her vacations by the sea where her grandparents resided. It was there she realised she wanted to follow a career that would always keep her close to the ocean. After five years at the Ricardo Palma University, Stefany obtained a Biology Degree with Honours. During the last year of her undergraduate studies, she volunteered for a marine conservation NGO (Planeta Océano). At the beginning she assisted in environmental education workshops in different schools throughout northern Peru, and later became involved in fisheries research projects in the same area. A year later, she was offered the position of Research Coordinator at Planeta Oceano. She managed a project on manta and devil ray fisheries, but little to no data was available within Peru. After collecting data through fishing market census, it was found that the meat of these species was of high demand. Thus, a mobulid ray conservation project was developed in Peru in collaboration with Manta Trust, in an effort to reduce such impacts and ultimately lead to the national protection of the Mobula birostris. Stefany completed a diploma in Natural Resources Management and Conservation in Mexico, and participated as a volunteer in Manta Trust’s Maldivian Manta Ray Project in 2016. It was one of the best manta ray experiences she has ever had. She is now a Project Leader for Manta Trust's activities in Peru, which forms a key region under the charity's larger-scale Global Mobulid Conservation Programme. Created and launched the first photo-ID database for manta rays in Peru. Played a key role in securing national protection for manta rays in Peru (2015). Documented for the first time a manta hunt in Peruvian waters. Engaged >106 Peruvian fishermen in manta ecotourism training to provide alternative livelihood. 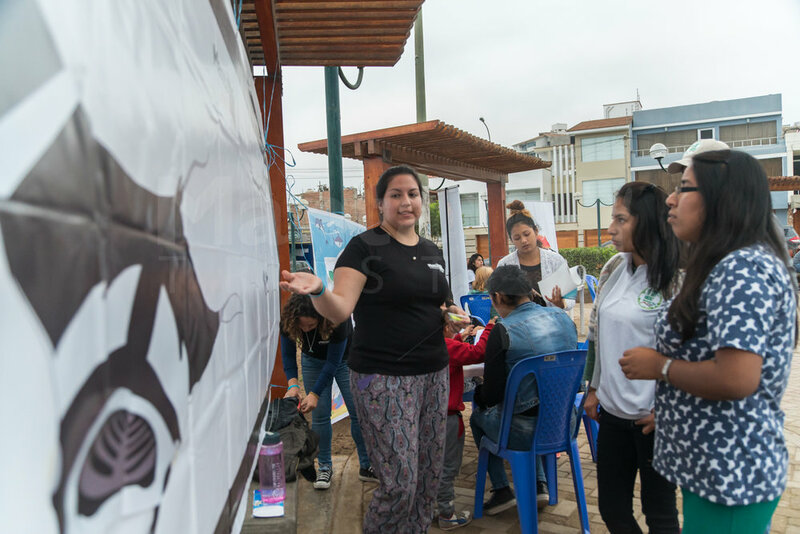 Since 2014, engaged with over 800 community members in workshops and outreach across Peru. Conducted presentations and lessons at dozens of educational institutes; including primary & secondary schools and universities in Los Organos and Lima. Our work in Peru is supported entirely through our wider-scale Global Mobulid Conservation Programme. Follow the link below to learn more about this initiative, and how the Peru Mobulid Project fits into the bigger picture. Young Peruvian children swim with Giant Manta Rays for the first time ever in Peru. What an experience! Yet mantas are also be killed in targeted fisheries and as bycatch in gill nets. Time to protect Peru's valuable and vulnerable manta rays!